We offer private, duet, and 4-person classes. Studio C provides an intimate atmosphere even in a class setting. Madeleine inspires me to challenge myself with her instructive and motivating feedback. 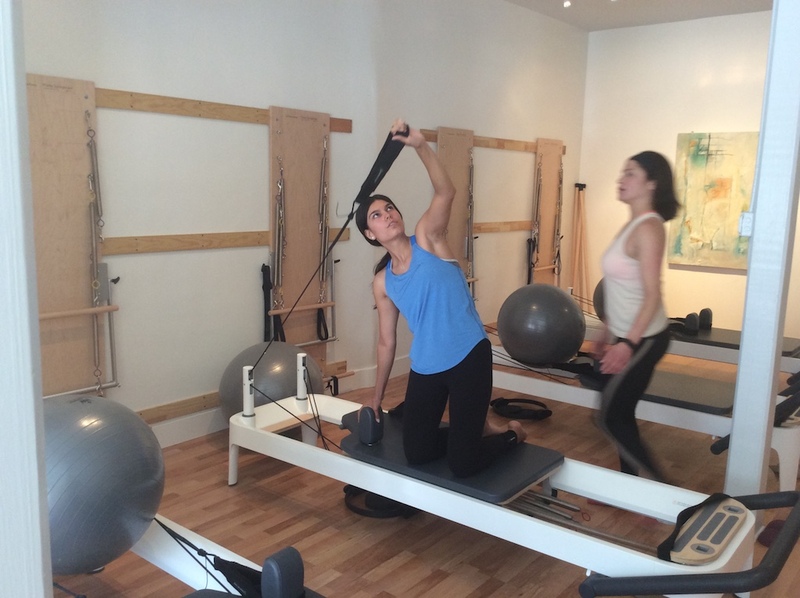 I enjoy how she creates challenging and creative workouts using various Pilates apparatus, keeping me engaged and focused. 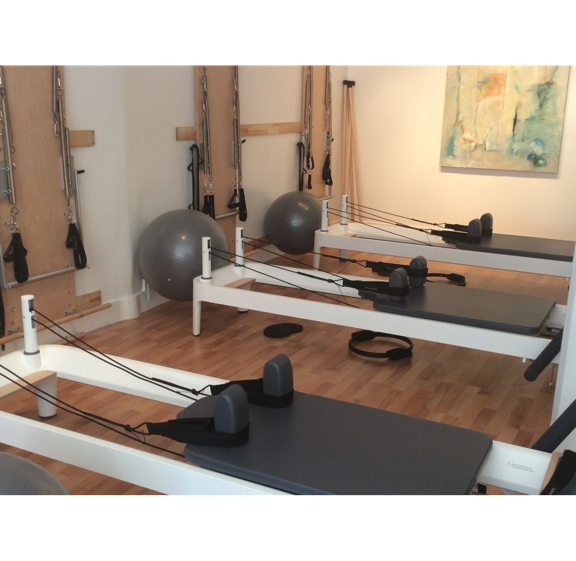 Studio C Pilates is an amazing place to strengthen your core and other areas that need focus from life's demands. People with physical therapy needs could benefit greatly from coming here. I go weekly and feel great. Studio C is fantastic. I started with them as soon as they opened. The owners, Mark and Traci, are the nicest people, and they have hired great trainers. I go to Scarlett's class every Monday and Wednesday. She's tough! Try them you guys. The equipment is the newest and the trainers are wonderful. Thanks! 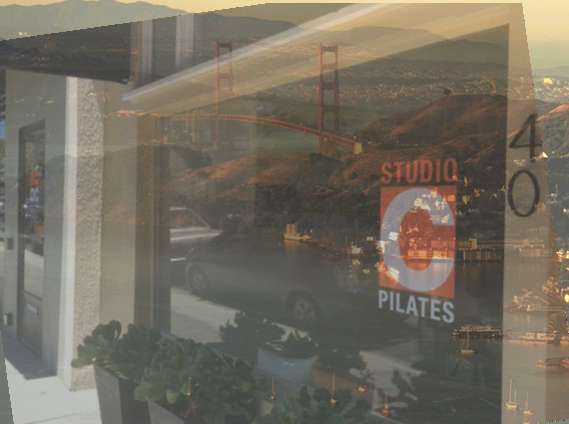 Intimate and Elegant Pilates Studio serving our Sausalito community, clients, friends and family. Experienced instructors tailored to meet your personal fitness and rehabilitation goals. Easy street parking and quiet, small room for kids to play and relax as needed. 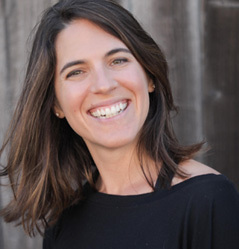 Oshana is a California licensed Physical Therapist with specialties in Pilates, Feldenkrais, and Qi Gong. 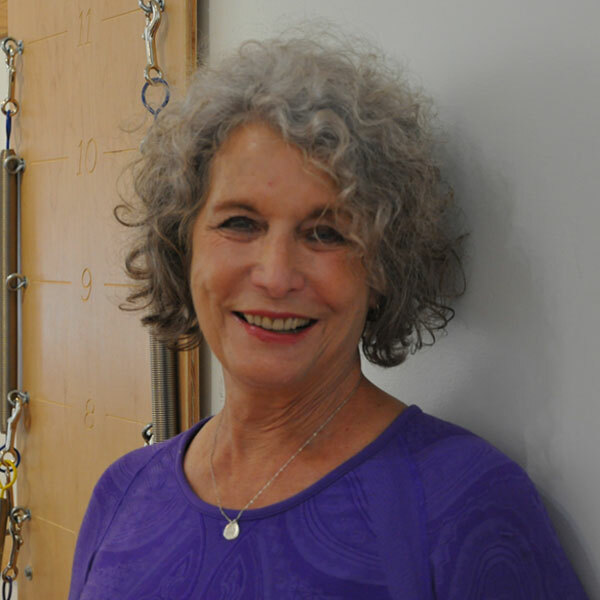 After graduating Northeastern University in 1988 with her PT degree, her passion for athletics and dance led her to learning functional movement re-education through the Feldenkrais Method, which continues to inform her teaching approach with students in both private and group settings. 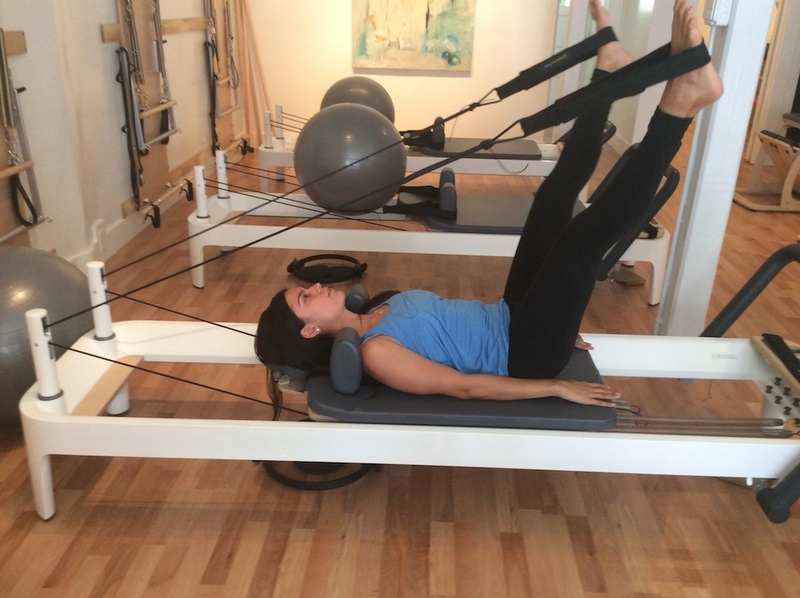 Certified in Stott Pilates Mat and Reformer in 2004, and graduate of the comprehensive rehab track Polestar Pilates 2018, she offers Pilates rehab and fitness programs in Sausalito, Tahoe and Cape Cod. Other powerful influences in her teaching skill set are Qi Gong and Tai Chi practices. Students may benefit from the art of effortless flow and energetic awareness to relieve stress and tension while cultivating greater ease and vitality. As a lifelong learner in kinesthetics, Oshana enjoys assisting students to embody themselves more fully through exploring their own strength, functional anatomy, postural awareness and dynamic movement skills. Georgia started her interest in fitness as an artistic athlete. 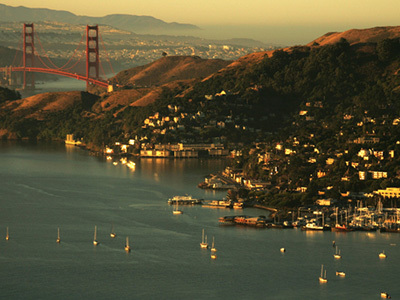 From a young age she was a synchronized swimmer with the San Francisco Marionettes. After decades of physical fitness she was introduced to Pilates and Gyrotonic. She now brings 20 years of experience teaching many hundreds of clients the principles and mechanic of physical fitness and harmony. She specializes in training clients with an individualized regime designed to stretch and add flexibility, balance, and strength. At the same time, clients learn mental skills to focus on their mind/body awareness. Men and women can expect to create and maintain a flexible, graceful and well-conditioned body, and enjoy a higher degree of the self-confidence that naturally follows. 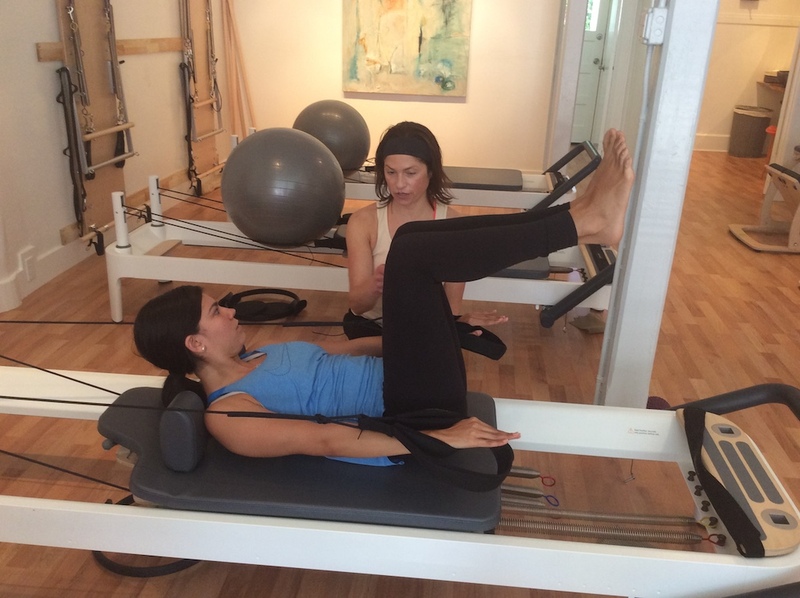 Mandi is a Polestar Pilates Teacher and Mentor, a Pilates Method Alliance Certified teacher, an EYT Certified Yoga teacher, and a level 1 Franklin Method Educator. 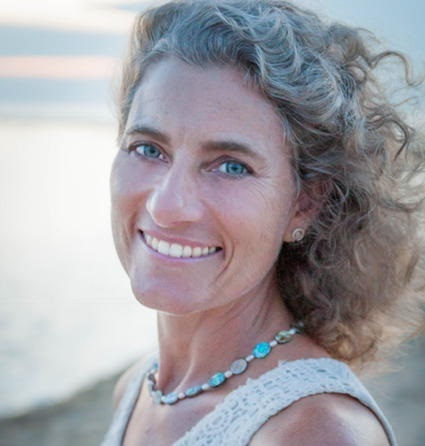 It is Mandi’s passion and mission to bring a more scientific based alignment paradigm to the yoga community with a specific intention to increase joint longevity. Mandi is inspired by the human form and how resilient we are. Her mission is to replace western culture’s epidemic of self doubt with reverence and awe for oneself. In 2004, Mandi attended her first Ashtanga Yoga teacher training with Kathy McNames of Yoga Vermont. She has also studied with David Swenson and Baron Baptiste and is a 500 hour certified Baptiste teacher. Additionally, Mandi has studied with Sofi Dillof, a master Jivamukti teacher, Linda Ruth Spitzfaden in Transcendental Meditation, author of Anatomy Trains Tom Myers, and Somanaut (explorer of inner space) Gil Hedley. 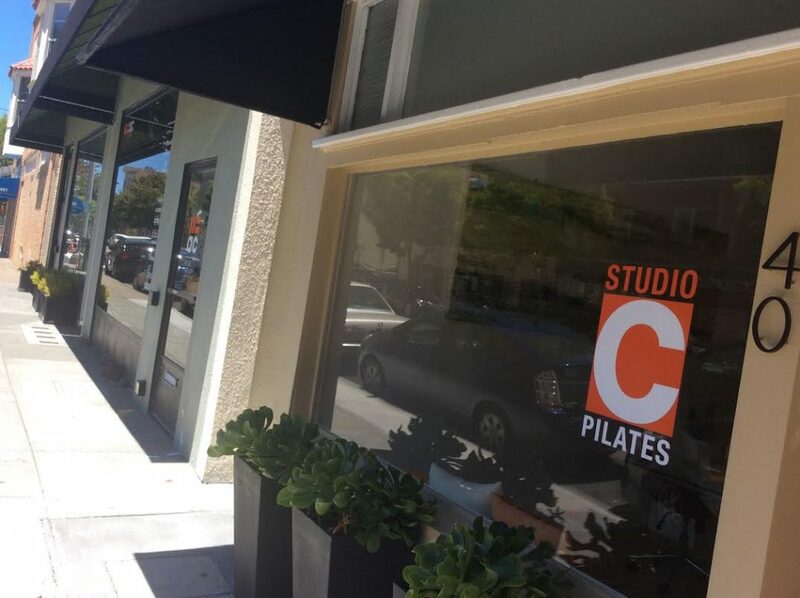 In the Polestar Pilates family, Mandi has studied with Bob Schroedter, Brent Anderson, Lize Stoltz, Amy Broekemeier, Carol Davis, Helen Mason, and Shelly Power. Mandi is trained in the Franklin Method pedagogy studying with Eric Franklin and Morten Dithmer. 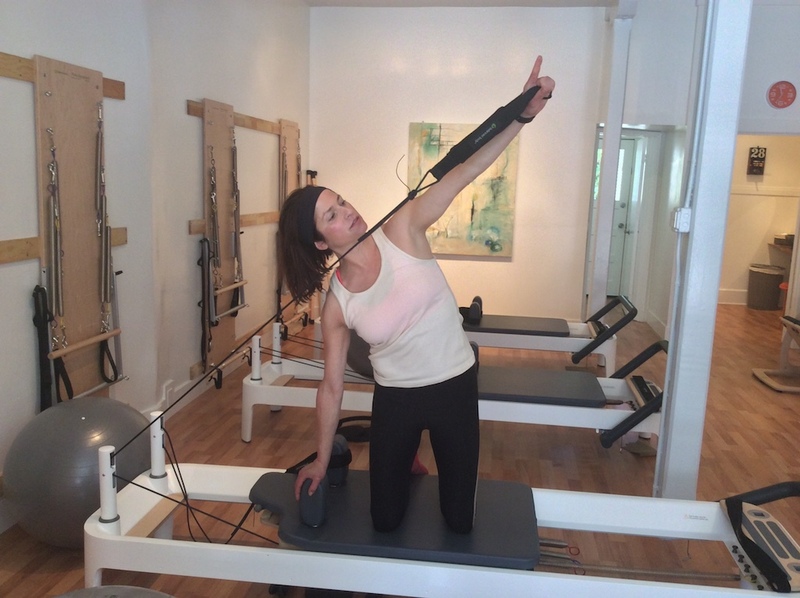 Talia is trained and certified in the authentic Classical Pilates method, handed down by Dorothee Vandewalle and Romana Kryzanowska. Talia is experienced at working with a wide variety of students. 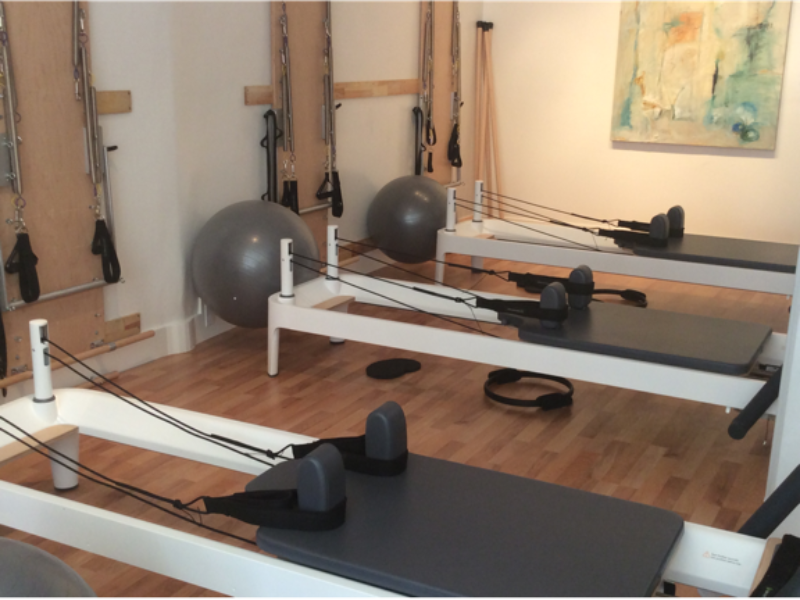 Be it training to improve performance as an athlete, rehabilitating an injury or improving posture and physique, Pilates can be enjoyed by anyone at any age. Talia holds a Bachelor’s Degree in Ballet Pedagogy and Communications from the University of Utah Ballet Department, founded by William Christensen of the San Francisco Ballet. 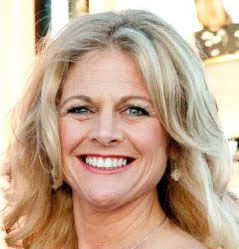 Her Masters Degree in Communications and Dance was pursued at the University of Oregon. 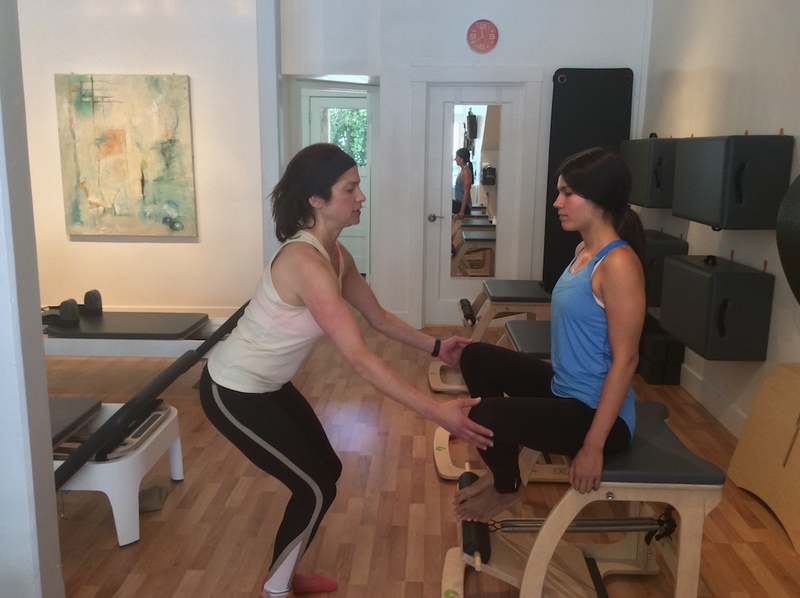 Talia has been teaching on both the East and West Coast for over fifteen years. Madeleine uses Pilates as a path to connect both the power and quiet of our bodies. She is an adrenaline-seeking water enthusiast and triathlete and found that Pilates improved her sports performance and daily functioning. 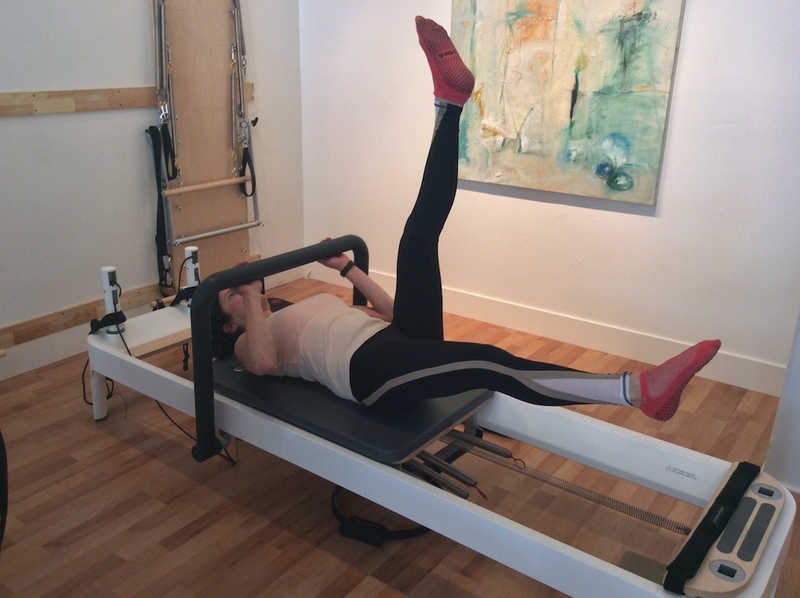 From an interest in health she became fascinated with Pilates and how it helps people of all fitness levels–from the rehabilitating to performance athlete. 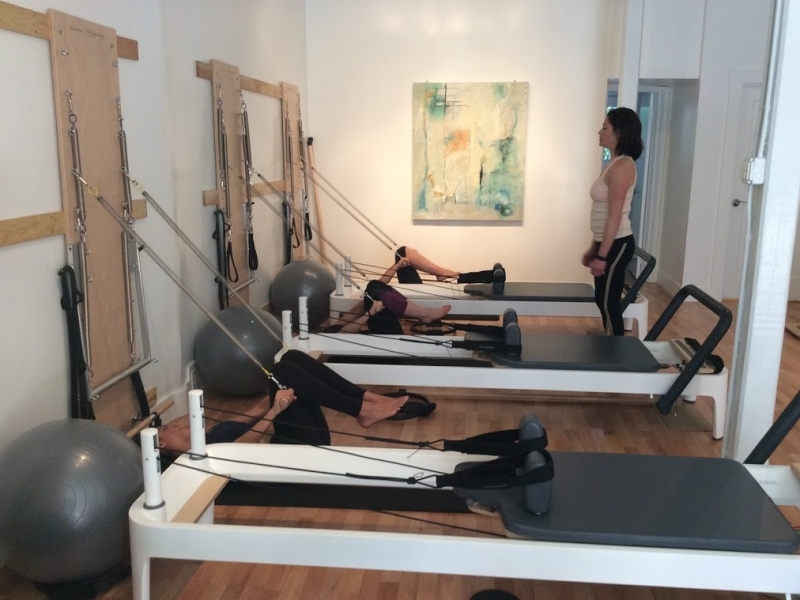 Madeleine completed the physical therapy-based Polestar Pilates and a yearlong classical Pilates program lead by proteges of Joseph Pilates’ Elders Romana Kryzanowska and Kathleen Stanford Grant. 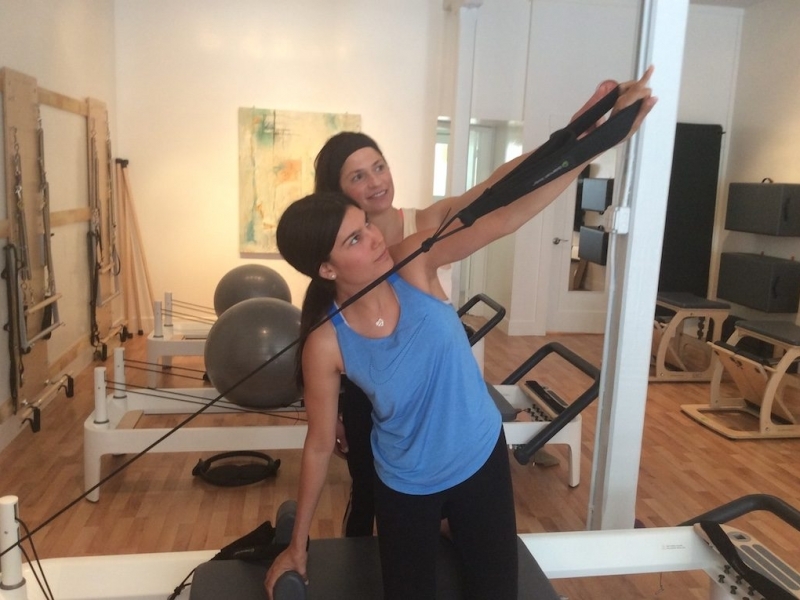 She has over ten years of experience motivating numerous therapeutic populations–rehabilitation, sciatica, scoliosis–and various athletes–golfers, marathoners, and tennis players. 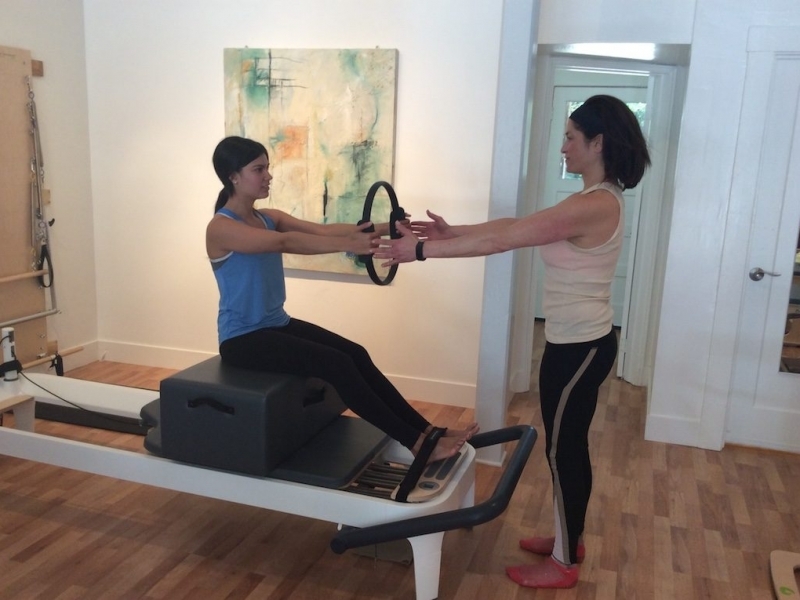 As a certified Pilates instructor and Integrative Health Coach, Madeleine enjoys empowering her clients with a comprehensive approach to their fitness and well-being. Purchase/Refund – Payment is due before or the same day of an appointment or class. We accept credit cards, cash, and checks. Prices and policies are subject to change without notice. All sales are final and we do not offer refunds. Packages are not transferable and non-refundable. Introductory offers can only be purchased once and are one per customer. 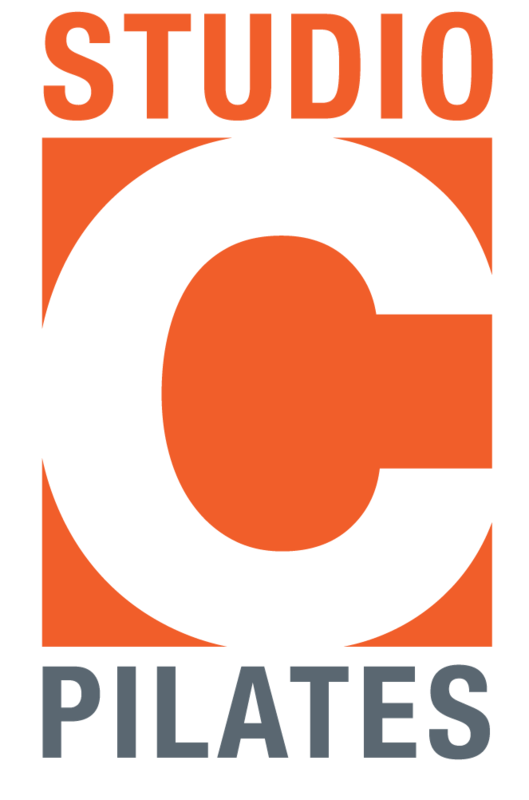 Waitlist Policy – Classes have 1 spot on the waitlist. Adding your name guarantees you a spot in case someone else cancels. We will send out automated emails notifying you if you get into a class. Contact us promptly or you may be responsible for a charge as a no-show. 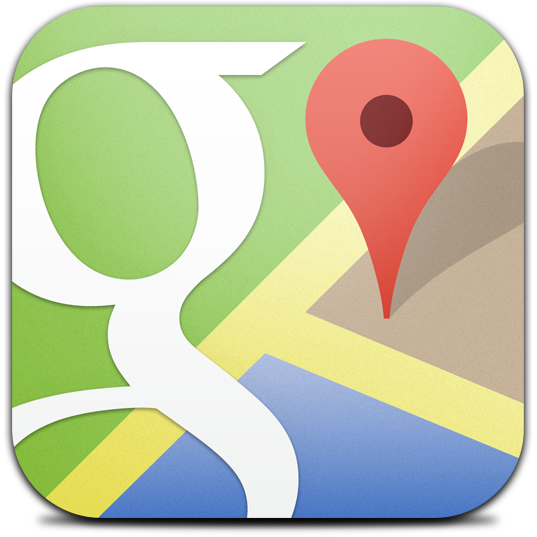 You are always welcome to stop in for last-minute availability, as it does happen. Security – We provide cubbies for your belongings, but are not responsible for any lost or missing items. Arrival Time – We can’t stop a class in progress for you if you arrive late, and we don’t wish to disrupt your classmates. After 10 minutes your space may be given away and a late fee charge applied. Cell Phones– Please turn to silent. Hygiene – We ask that you refrain from using scented perfumes, lotions and products prior to a class. Pilates Attire – Good workout clothes would include something that lets you move and lets the instructor see your body. Shoes are not worn for Pilates workouts. Many people wear Pilates/yoga socks as a light barrier or to enhance their grip on the equipment. Regular socks (without grip) are not allowed for safety reasons. Private Sessions and Duets – 12-hour notice for all private sessions and duets. Also we have a 12-hour notice for all classes. If you do not cancel in advance, you will be automatically charged for the session. Please cancel your appointment through your online account or contact us at info@studiocfit.com. Instructors’ class and private availability schedules are subject to change within this window. Lori received her Classical Pilates Reformer Certification from The Bay Club, and her 500-hour Advanced Yoga Teaching Certificate from Yoga Tree in San Francisco. Lori guides her students through an exploration of the breath, body and mind to cultivate strength, flexibility, and vitality. 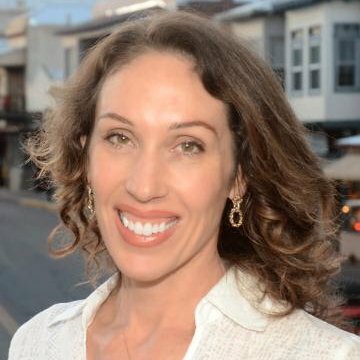 She teaches a variety of classes and privates in the Bay area including Pilates Mat and Reformer, Yoga/Pilates Fusion, Yoga for Backs, Gentle, Vinyasa, Restorative and Yin Yogas. 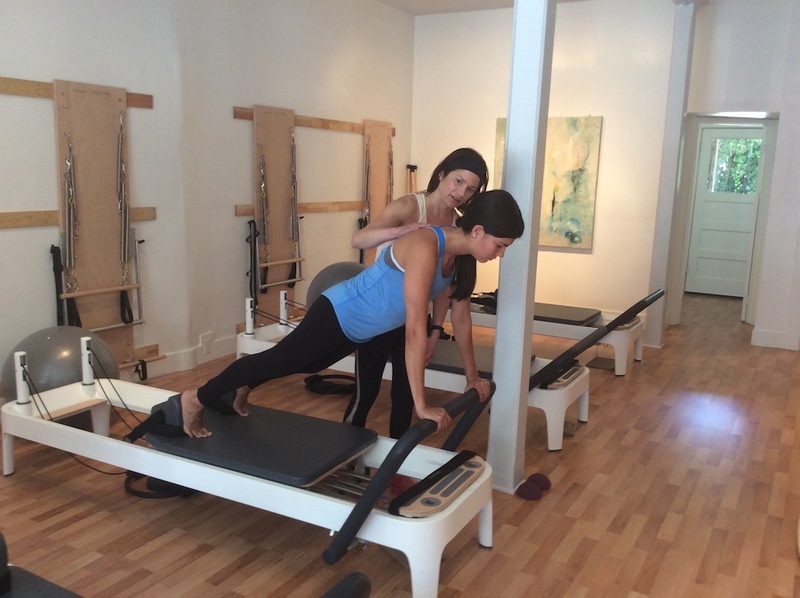 Lori was inspired to teach Pilates as she realized it could heal and and purify the mind and body. 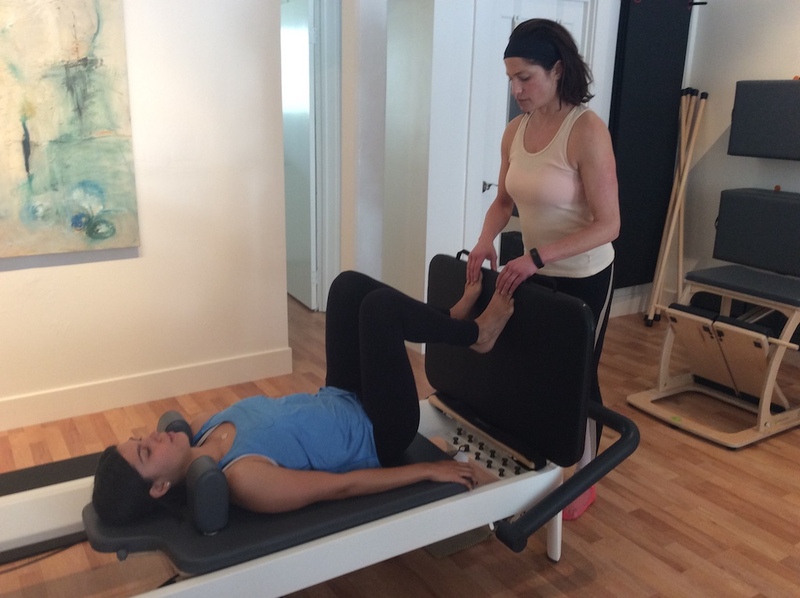 Lori’s students are empowered by a deeper sense of awareness, opening and connection, as well as, relief from pain. Lori enjoys sharing her passion while helping her students explore health, radiance and clarity through pilates and yoga.